A well-known fact about me: I'm a people person. I will take the time and effort to talk to you face to face. I’m the person on the tube who isn’t afraid to make eye contact with you and I’ll strike up a conversation if I see you reading a book I like. Basically, I’m an introvert’s worst nightmare. So, when I head to an industry event, you can probably find me in one of the ‘networking’ areas, making new acquaintances and catching up with old colleagues who I now class as friends. But what if what works for me isn't right for everybody? Worse, what if it's actively turning them away? When we're planning events, we assume that all our delegates are extroverts, ready to network the day away. The thing is, the statistics don't support that. According to Psych Central, 45% of adults in the UK consider themselves to be shy. Why do event professionals consistently add networking to our agendas when we know it will immediately isolate half of our audience? It's easy to see how we've ended up in this trap. People attend events to meet like-minded individuals and increase their contacts. If they feel they have achieved this at your event, they are far more likely to return year on year or to recommend it to a colleague. You want your attendees to have the best possible experience, connect with key influencers in their industry, or to start new relationships with strategic partners. The fact of the matter is, when networking is done well, it can provide people with great connections, valuable opportunities and memorable experiences. The key to engaging our self-confessed shy attendees isn't to do away with networking altogether, alienating the 55% who enjoy them. No, to make this better, we need to reposition them and ensure we're making the very most of these 'touchpoints'. First, accept that your audience want to speak to each other. Providing pre-event engagement opportunities, whether that’s through your registration website, through a bespoke built event app or through social media is integral. We want to build excitement and inform your audience of key event information. Let them know who else is attending, the topics of the day, who is speaking and give them the opportunity to submit questions beforehand. This will not only provide you with better insight into what they want to see and hear, but it will ensure they are engaged and excited about attending. Provide an attendee list on your app or website (password secured of course), so your audience has an idea of who they want to speak to when it comes to the networking breaks – after all, everyone needs a game plan. Second, let’s stop calling it networking. Finally, the key is for your audience to keep talking. This is a great example of classical conditioning (if you don’t know what this is… Google it, it’s fascinating stuff!) – but what if we were to reposition ‘networking’ as something different, something more positive? Why not call it ‘Connecting over Coffee’ or a ‘Curiosity Break’? Could that engage people differently and actually make people keen to connect? How can you make it easy for a delegate to connect if they lose that business card of the chap who had a one-million-pound brief? Again, this links back to your event website or event app. Keep the content flowing after the event has taken place, start online discussion forums or let people ask questions of speakers or other attendees. As a parting gift, I’d like to give you one bit of advice; remember you are all at an event because you have an interest in that topic, so talk about it! A friend of mine once said ‘Interested people are interesting’ and I think there's a lot we can learn from that simple statement. Katie is our A-lister: The C&IT A List of the best rising talent in 2016, no less. 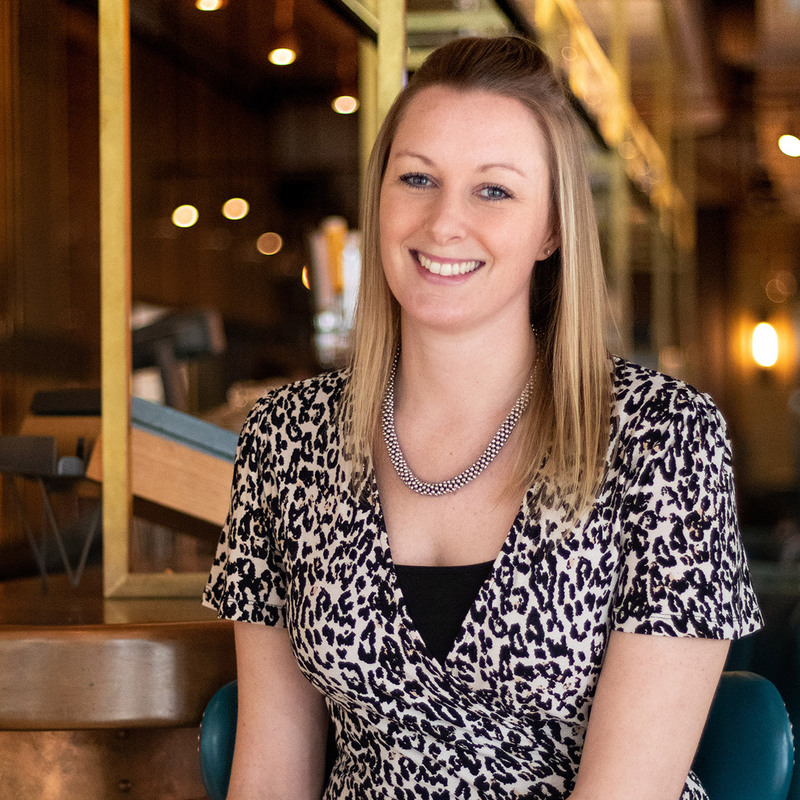 Whether she’s supporting the work of Highways England and the Food Standards Agency or sharing her expertise with clients, she’s always hard at work. You’ll rarely find her without her sidekick Finley, her golden lab, to help finish off the biscuits.